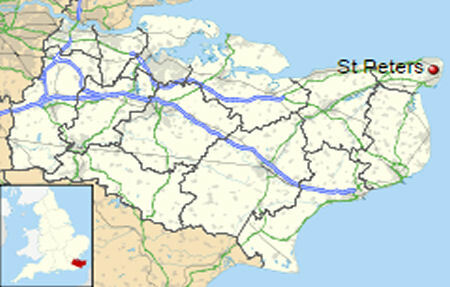 Near Broadstairs, Cliftonville, Manston, Margate, Ramsgate, St Lawrence, Westwood. Crown and Thistle Northdown Hill 1822- Closed ??? ?